The Electric Division shut down the power on Saturday morning at 6:00 AM to repair a cross section on a utility pole at the Nason Blvd Substation that carrried a 500 volt transmission line. The only way to repair the damaged pole was to cut the power to the entire service area. Everything went well and and the power was back on in about one hour. When emergency shut downs must be made, the Electric Division sends a notice to the WSPQ, the police, the fire department, the hospital, and the Control Center. Also, they notify the large retails stores and restaurants. The Fire Department assist by directing traffic at the lighted intersections and manning the portable generators. This week, the Erie County Highway Department installed temporary construction site fencing around the damaged culvert on South Buffalo St. The new fencing improves the public safety at the erosion site by replacing the orange snow fence which never was properly installed. Also additional signage warns the public of the danger of the cave-in. Furthermore, the County Highway Department moved the barricades on S. Buffalo St closer to the damaged culvert so that vehicles can access SYI. After months of closing access to the hub of youth recreation in Concord and Springville, Erie County finally reopened the facility. S. Buffalo is still open to pedestrian traffic along the east side. This recent work by the County is welcomed, but this action addresses only some of our concerns about the damaged culvert. We still need the culvert repaired and the street opened. There is no question about the inconvenience the closure is causing. We can only guess at the effects of the road failure at this culvert will have as the it continues. Also, the lack of an effective detour causes a Village problem on our side streets and in our municipal parking lot. Furthermore, the erosion is a threat to our water, sewer, and electric utilities. Our DPW is currently addressing these issues, but not without a cost to the Village. And while the County agrees to participate in future meetings about the culvert, the County has made it clear that it currently has no plan to repair it. A meeting is scheduled next week. Grass walk way on east side of culvert. Warning on fence at erosion. The damaged culvert and the closed road on South Buffalo Street continues to be a main concern of the Village. At the present time, Erie County has no plans to repair the culvert. 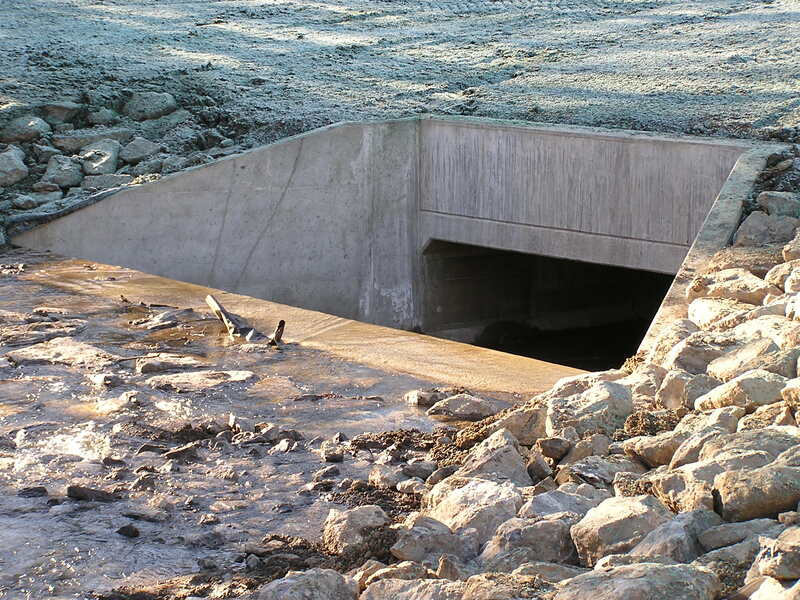 The damaged culvert remains a threat to public safety, a threat to Village infrastructure. The present detours installed by the county create vehicular and pedestrian safety concerns, and block access to SYI recreational facilities. At a meeting on Monday, representatives of the Town of Concord and Springville Youth Incorporated met with Village Officials to discuss the impact of the damaged culvert and closed road on the Village, the Town, and SYI. There is a clear consensus in our community that the culvert needs to be repaired and the road needs to be reopened. Also, there the community leaders agree that the County must take action in the next two weeks to allow access to the SYI Recreational facilities. On Thursday, the Village Attorney will meet with County attorneys and present the need for immediate action. Erie County Legislator John Mills has toured the site and supports our efforts to get immediate action by the County.